You Are Here: Home » Blog » Despite an opioid crisis, most ERs don’t offer addiction treatment. California is changing that. This is what it looks like when we stop treating addiction as a moral failure. 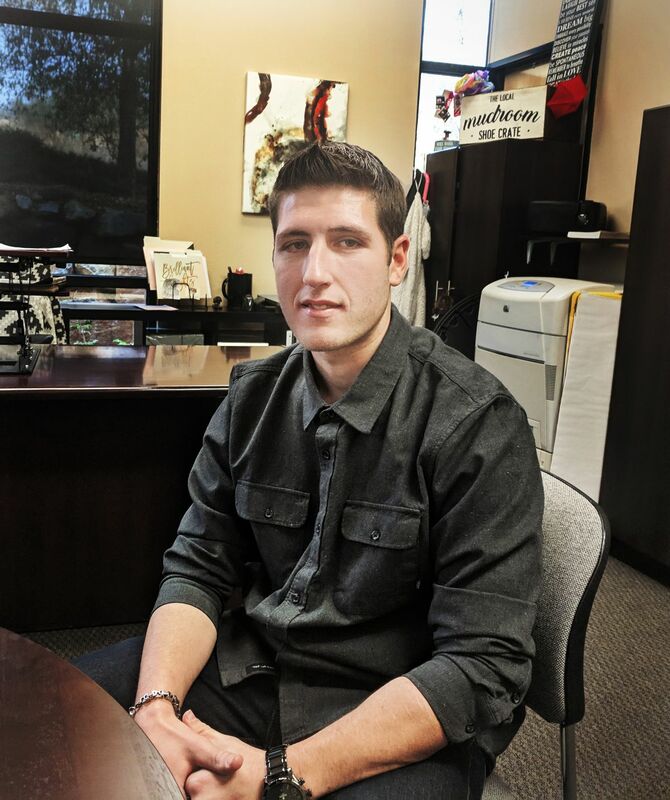 SACRAMENTO, California — When Michael Curci still used opioid painkillers and heroin, he didn’t see himself living beyond his mid-20s. Curci is now 28. The moment that helped him survive came in October 2017, when he went to an emergency room not due to an overdose or an injection-related infection but to seek treatment for addiction. Unlike most hospitals in the US, Marshall Medical Center, an hour’s drive east of Sacramento, provided him with real treatment — particularly, buprenorphine, a highly effective medication that treats opioid addiction by mitigating withdrawal and cravings for the drugs. Michael Curci says his life is back on track after he got help for opioid addiction at an emergency room at the Marshall Medical Center in Placerville, California. If Curci had gone to the emergency room at most other American hospitals, his story might have ended differently. Patients in ERs with other chronic conditions, like heart disease or diabetes, typically meet with a specialist quickly to start the long-term process of managing their condition. A patient with drug addiction, on the other hand, is often sent on his way with a pamphlet for treatment options, a few talking points, and not much else — even though the evidence suggests that this hands-off approach does little to reduce the serious risk of overdose and death. Curci, though, encountered a still-unusual approach of treating addiction in the emergency room — one that California, Massachusetts, and other states are now expanding in earnest as the country deals with an opioid epidemic. At the core of this work is a straightforward idea: treating addiction like any other medical condition, and building treatment for addiction into the rest of the health care system. If done right, this idea could dramatically expand access to addiction treatment across the US. Instead of relying on expensive, infrequent, and siloed addiction treatment facilities, people with addiction could go to their doctor or local hospital to get help. They could pay for that treatment not out-of-pocket — as remains common — but with health insurance, making treatment much more affordable. The medication they use would be viewed not as a crutch — a common view of buprenorphine — but as akin to insulin, aspirin, or any other medication for chronic conditions. And as with other conditions (from diabetes to cancer to heart disease), relapse wouldn’t be treated as a moral failure, but a normal part of recovery. The ER is one place where this broader approach can begin. Most emergency rooms across the country, though, do not offer this care. Much of that is caused by stigma toward drug use and addiction, which can make it difficult to persuade ER doctors to do something they historically haven’t done. But even if health care providers do want to offer addiction treatment, there are concerns: How do you do it? Will it be expensive? Where will patients go for continuing care after they leave the emergency department, especially in a country where treatment options are often inaccessible or nonexistent? California and other states’ experiences, though, suggest an ER addiction treatment program isn’t only possible, but that it works. California is now gearing up to expand the idea, with the state’s Bridge Program and Public Health Institute gearing up to award more than $8 million to as many as 30 hospitals in the coming weeks. By making treatment more like other kinds of health care, the state is hoping to see more stories like Curci’s. As America’s opioid epidemic continues, the approach is increasingly necessary. Drug overdoses were linked to a record 70,000 deaths in 2017, more than two-thirds of which involved opioids, and 2018 appears to have been about as bad. And beyond the overdose deaths, federal surveys have found that there are more than 2 million people addicted to opioids in the US — and experts say that is, if anything, an underestimate. Those are millions of people who could potentially benefit from treatment if it’s made more available. Most people in the US with drug addictions struggle to get treatment. A 2016 surgeon general report found that just 10 percent of people with a substance use disorder get specialty treatment, in large part due to a lack of access to care. Even when specialty treatment is available, federal data indicates that fewer than half of treatment facilities provide evidence-backed medications like buprenorphine or methadone. These medications have been around for decades. Studies show that they reduce the all-cause mortality rate among opioid addiction patients by half or more and do a far better job of keeping people in treatment than non-medication approaches.